The highly anticipated Limerick Film Festival returns for its seventh year this April. The LIT-founded three day event is set to be huge, with an exciting display of Irish filmmaking talent. Since the festival was founded it continues to attract a myriad of filmmakers, directors, actors and producers from around the world, and promises to be an exciting event, set to take place in Limerick in April 2016. The festival will include The Short Films Award Show, which will give Limerick filmmakers the opportunity to showcase their work to an international audience, as well as being nationally credited. The awards show is highly regarded among filmmakers both home and abroad, and will be recorded by Video and Sound Technology Students of LIT, as well as being streamed live on the website. The event is no stranger to high profile guests, with previous speakers having included Mad Max: Fury Road Co-Author Brendan McCarthy, Irish Film Maker and Limerick man Kevin Liddy, Irish comedian and producer Pat Shortt, along with many more. Industry workshops are also on offer for 2016 including master classes and demonstration events. 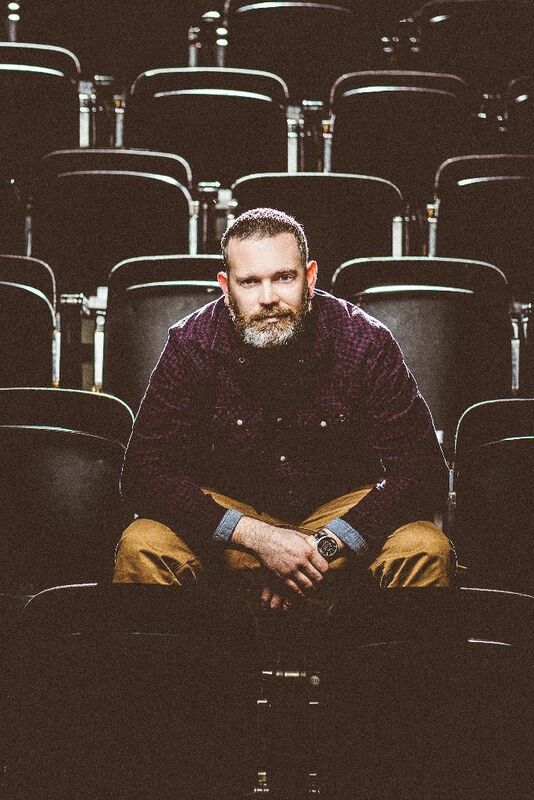 Speaking to TLM, founder and director of the festival Simon McGuire has talked about what to expect from The Limerick Festival, and why it’s an exciting and innovative occasion in the city. What does it take to organise the festival each year, what goes in to the preparation? Each year the preparation for the Limerick Film Festival starts in the summer. We review the previous festival in April by looking at attendance figures and social media feedback online. We also look back at the guest speakers and workshops and access what gaps need to be filled in for the next year’s schedule. In September, we start organizing the ‘call for entries’ for the short film awards. This was usually a long and arduous task; however in 2015 we decided to utilize ‘Film Freeway’. This is a one-stop show for submitting films to film festivals. From an organization point of view it helps with both the logistics of the judging and the space needed for viewing hundreds of short films that may come into us each year. Once this is done and the call for entries is closed (around beginning of March each year) we plan the programme launch with one of our hosts and main sponsors, The George Hotel, and then there’s the countdown to the festival itself. The work on the technical side of the festival then takes priority. The screening of the short listed films as well as the video inserts for the awards show are edited and checked as the results come in from the judging panel.There is a lot to get done each year so there is never a moment to waste in order to get the balance right for the audience. How do you feel the festival has evolved? Since 2010, the festival has undergone significant changes yet has maintained some of the original ideas over the past seven years. Our Short Film Awards Show is still the same format as it was but with a slicker feel and appearance each year. We think that our awards show is what sets us apart and there has always been great feedback from the film makers who attended as well as the audiences that watched the live stream of the show online. We have had some great interval performances as well as guest speakers presenting the awards as we try to utilize the students of (Video and Sound Technology and Music Technology programmes) LIT in the production of the show where ever possible. The biggest planned change we have had was the name of the festival. In 2014, as part of the Limerick City of Culture 2014, the festival went form the LIT Film Festival to the Limerick Film Festival. This was part of the first five-year plan to open up the festival to the wider audience, to allow the professional filmmakers in Ireland to recognize the festival as a part of the Irish Film festival circuit. LIT are and always will be the backbone of the festival and since 2014 we have had an increase of interest from national and international organizations. The other change we have noticed is the ever increasing quality and diversity of short films submitted by filmmakers. Animation and documentary are becoming as popular as short drama for submission. With this year’s festival we are hoping to see how the use of Film FreeWay will help with the organization of the judging and selection of the films for the festival. Hopefully we can learn and evolve this over the years to create a smoother workflow on the awards show. What’s the biggest challenge in setting up the festival? Time is always the biggest challenge. As most of the people who work on the festival are either academic or technical staff or even the students, work commitments of the day jobs also have to be completed. In saying that, the festival is sitting at the end of the academic calendar so there is a sense of a party-like atmosphere once we get the festival started. Students have a chance to show off their skills they have learnt in the lecture room as well as possibly meeting and chatting with directors and producers from the industry. As LIT is the only institute of technology running its own festival, there are unique opportunities for the students to make initial impressions for future employers. It is hoped in the coming years that the festival will work closely with other festivals such as the Fresh Film Festival and the Richard Harris International Film Festival, to maximize the impact of the film making industry here in the mid-west. With the introduction of Troy Studios Ltd. this year, Limerick is firmly in the sights of filmmakers both here and abroad. The challenge we have at the Limerick Film Festival as well as Limerick Institute of Technology is to create a culture of professional film making which will attract filmmakers to visit and possibly setup in the region, which in turn will create industry jobs for the college graduates. What has the response been like from students and participants in the Short Film Awards Show? The response each year to the short film awards is incredible. As mentioned, the quality of the films has naturally improved. There seems to be a bench mark that student and professional filmmakers aim for based on the previous year’s film entries and we see the ideas and creative minds pushing themselves to improve their craft each year. In its first year the festival only had about 35 entries whereas we have hundreds now. This is always a fantastic acknowledgment for the festival and also creates new challenges in the organization and judging.With the likes of Brown Bag Films entering last year we were blown away that such a professional team were interested in participating in a small festival such as ours. This was the desired outcome when we changed the festival name and expanded our reach to other regions and areas of the craft of filmmaking. How important do you feel the film industry is to the Irish culture? The Irish Film Industry is maybe seen as a smaller contributor to Irish culture over the years, however as we have seen with this year’s Oscar nominations, Irish Film is in a sort of renaissance. The Limerick 2020 bid this year has a number of areas of culture it is promoting and film is amongst them. There have been a number of new festivals started in the past few years as well as an influx of independent filmmakers producing short films across the city and county. The art of film is becoming more and more important in the visual world of online media and there are huge opportunities for student and professional filmmakers in Limerick and Ireland to influence Irish culture. What is probably needed more than anything is a central hub for these independent filmmakers, a place where ideas can be shared and practice on. With the development of Troy Studios Ltd, along with projects like the Royal on Cecil Street there could be a bright future for filmmakers in the coming years, especially if the Limerick 2020 bid is successful. In the future, what do you envision the Limerick Film Festival evolving into? I envision the Limerick Film Festival working closely with the other film festivals in the city. Collaborations are vital for everyone. The festival has always strived to evolve and we are always open to ideas. The short film awards will always be apart of the festival but as we evolve there could be an expansion to include feature length films. This would be a huge logistical challenge; however with the possible collaboration with other festivals there could be room to include a feature length section in the awards show. The Launch of this year’s programme as well as the announcement of the short listed films for the awards show will be made in the last week of March 2016 with the festival getting underway from April 14th to 16th 2016.